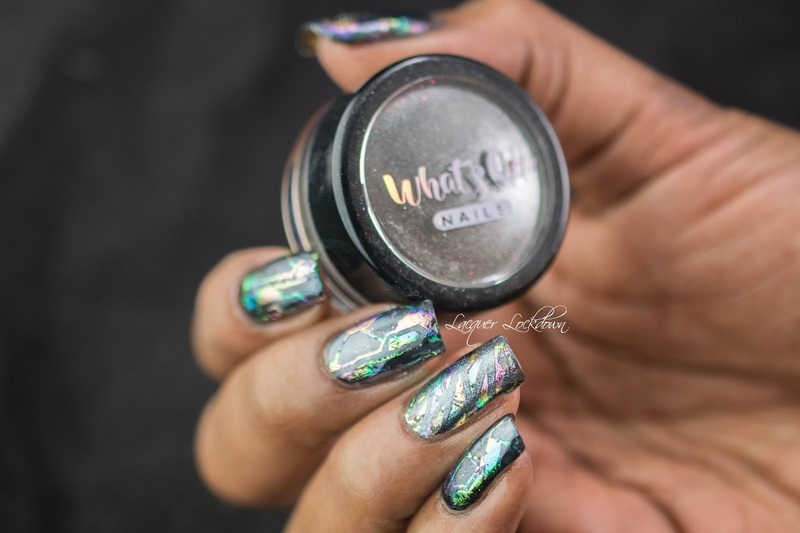 Lacquer Lockdown: Black Chrome Galaxy Foil Nail Art + Tutorial! I'm so far behind in my ideas and posts and I want to create something for everyday if I can so be prepared for some backdated posts including throughout today! 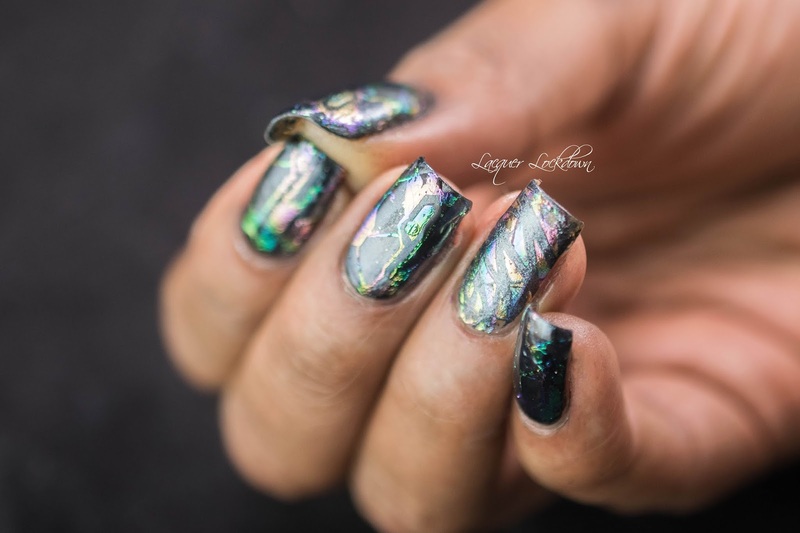 I know this look isn't going to be for everyone but I have to say this is one of the funkiest nail arts I've ever created. Something about the interaction of the foil and the black chrome was just wild. It captured so much more beautifully on the video I think. And honestly after yesterday and the way the news has been I really needed to focus on something more uplifting than what's currently happening in our government here in the US. 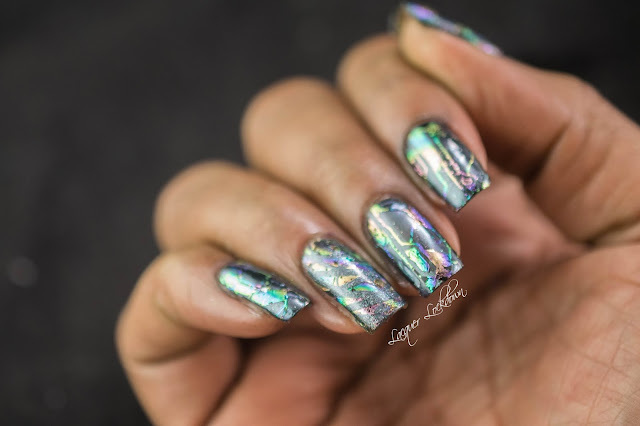 Every time I use foils I forget how much I love foils and then I think I need to break them out more frequently. Also I have so many freaking MYL plates that are untried! In fact in general I have too many untried plates. I wish I had the willpower to ban myself but that's never gonna happen so instead I need to make more effort to use plates I haven't used before. That will be easy enough for Halloween for sure. So what do you think? 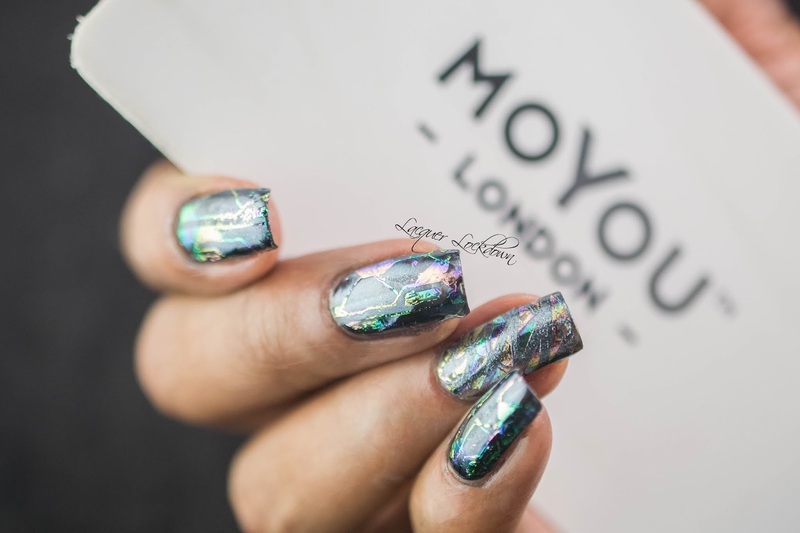 Depending on the angle of my nails you get the shifting of the foil and the black chrome. I think this wound up looking so different from anything I've ever created. So what do you think? 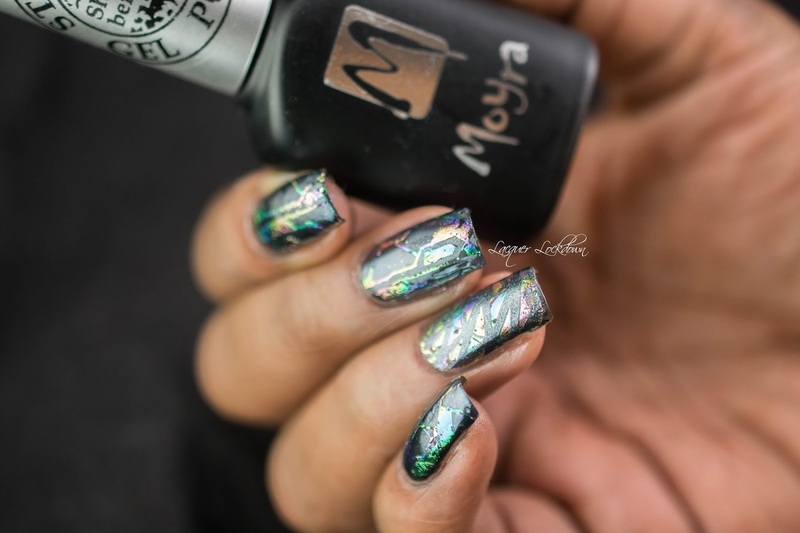 I also had the thought that the foil inside the black chrome looks sort of like paua shell as well. If you want to recreate this look the products and links to them are above. I also put up my new LED lamp after my old one randomly broke and I have to say I love this one so much more! Its got an automatic sensor and preset timers and has a higher wattage which allows me faster cure. Maybe I'll post a review at some point though I'm not sure other people really like gel nails or UV lor LED lamps which I primarily use for nail art purposes and so I've come to love them.